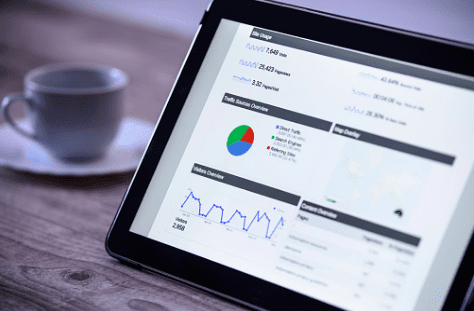 Why Should my Business Use Google Analytics? Google Analytics is a FREE software every business should be using to track their website traffic, where traffic is coming from, how people are engaging with the website and use it to make changes to improve digital marketing campaigns. This area of Google Analytics allows you to see which channels are bringing in what traffic, their bounce rate, conversion rate and revenue they are providing the business with. This is really important to find out which of your digital channels are performing best you can upweight budgets into high performing areas! Do you know what device is performing the best? Do your campaigns perform best on mobile or desktop? This information is absolutely crucial in order to optimise campaigns such as PPC. Putting bid adjustments on mobile, desktop and tablet, depending on the device that’s performing best for your business can significantly increase your campaign performance. Finding out which of your pages are being viewed the most, which are being engaged with and which are generating conversion is crucial in order to optimise your website and digital marketing campaigns. For an e-commerce website, you can see here how many people are visiting your checkout page without making the final conversion. If this is a significant amount of people, you can then optimise the page. Why aren’t people making the final conversion? Is the checkout process too complicated? Are people expecting free delivery and you’re charging. To further help this process, you can install heat-mapping onto your website to watch your users interact with your website and where it may be falling. How long does it take for your customers to make the final conversion? This is great for utilising remarketing software such as Google remarketing, social media remarketing or cart abandonment software to see how long you need to target your customers for. This is a great tool for finding out what channels are complementing each other. Here you can see the process of your customers and which channels they interact with in order to make the final conversion. Finding out the average age and gender of your customers can be more useful than you may think. You can find out what gender and age group has the highest conversion and utilise this in digital marketing campaigns such as social media when you’re choosing your targeting. There’s so many more great tools in Google Analytics and it is, in some cases, a very under-utilised tool. If you need any Analytics training or would like an in-depth Analytics report, get in touch with us today.